Your International Symbol of Luxury–Let Us Protect It! 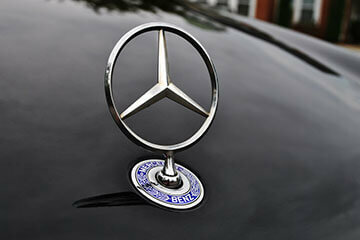 Mercedes is known for producing high-quality performance vehicles. At Spotlight Automotive in Chicago, IL we understand how important it is to find a professional dealership alternative to the Mercedes repair shop. Not to mention, there are so many different shops to choose from in the area. So why choose Spotlight Automotive? Being in the downtown area since 2008 we know just what it takes to become your new Mercedes repair and maintenance center. We provide professional estimates that regularly beat dealership prices by 40%. In Addition to that, we make sure customers have complete satisfaction with their repair or service. Taking care of our customers and providing the best customer service possible is our top priority. Our team of ASE Certified Technicians will answer any and all questions regarding your repair and make sure you are satisfied with our findings. Call today to set up an appointment for your custom-tailored factory scheduled maintenance plan. From minor repairs to major repairs, we have got you covered. Our techs are very knowledgeable on all Mercedes makes and models. In Addition to auto repair and maintenance, we also provide complete collision repair. There is nothing our team can’t handle. So my question now is, why not choose Spotlight? At Spotlight Automotive we know that keeping up with your factory scheduled maintenance plan, is imperative to the life of your vehicle as well the resale value. Furthermore, it can even enhance gas mileage and help you avoid costly avoidable repairs due to improper maintenance. Let one of our ASE Certified Techs create a personalized Mercedes factory scheduled maintenance plan that incorporates your driving habits and frequency. Our Team knows exactly how to keep your luxury vehicle running stronger for longer. You purchased a luxury vehicle for not only impeccable design and safety features but for performance as well. Keeping your vehicle running in top condition takes not only precision repairs, but factory approved OEM parts. Our shop uses nothing less than state of the art tools and Mercedes specific diagnostic equipment available. Our techs and their vast knowledge of all Mercedes makes and models make it easy for them to pinpoint problems and fix them quickly and efficiently. Every time your vehicle enters the shop we will perform a cursory inspection. After the initial inspection one of our techs will alert you of any immediate repairs necessary, as well as, any trouble areas to keep an eye out for future Mercedes repair or service. Never be left in the dark again when it comes to Mercedes maintenance and repair. For premium Mercedes repair and maintenance think of Spotlight Automotive in Chicago, IL. We’ll fix the problem right the first time. Call us today at 312-967-0732, or schedule your appointment online. For common questions check out our Faq’s Page. We look forward to servicing your Mercedes soon!